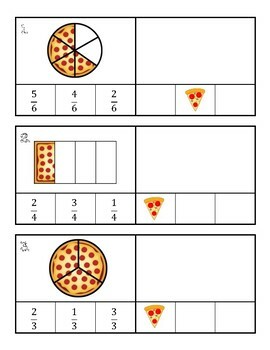 Task cards are great for centers, playing a game of scoot, or quick formative assessments. 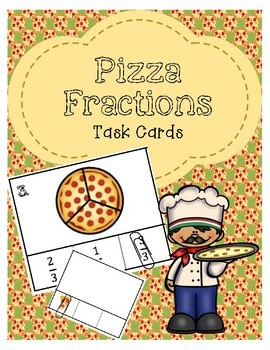 These task cards test identifying fractions, comparing fractions, and simplifying fractions. They are easy to put together and easy to assemble. Recording sheets are available in student and teacher form. 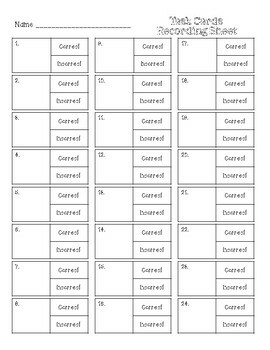 They also are great for having students record their own data by marking if their answers were correct or incorrect. Check out more of my products at my store!